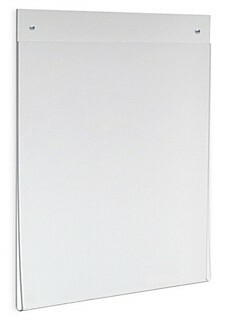 both front and rear panels. All Clear Styrene Frames are 0.080"
Our Clear Acrylic and Styrene Wallmount Sign Holder Frames Are Sturdy Display Frames That Mount to the Wall with Screws (not included). Each Unit Has 2 Holes at the Top of the Frame for Mounting. 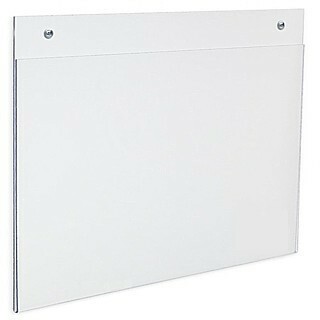 These Sign Holders are Perfect for Sell Sheets, Ads, Photographs, Menus, Instructions and More!